Posted on Октябрь 7, 2016 by Татьяна Н.
Десять дополнительных упражнений на Subjunctive Mood для тренировки составления предложений в Second (Third) Conditional в рамках закрепления темы «Сослагательное наклонение в английском языке». Упражнения даны в порядке возрастания сложности. Упражнение 1. Выучите новые слова и переведите на русский язык. If I had a camera, I could take pictures of the beauti­ful scenery. 2. If there had been any sugar left, we should not have gone to the shop late in the evening. 3. If my house were situated close to a river, I would take long swims every morning. 4. If I were acquainted with him, I should ask his advice. 5. If you did not have a toothache, you could enjoy that evening party. 6. If you were not so absent-mind­ed, you would not make so many mistakes. 7. If you had rung me up, I should have known you were in trouble. 8. If you had not left the child alone, he would not have hurt himself. 9. If I had not spent a month at the seaside, I would not have got so sun-tanned. 10. If it had not rained so heavily, we should not have got drenched to the skin. 11. If you had watched the cat, it would not have eaten the fish. 12. If it were not so late, we should go to see them.13. If you had not been in her way, she would not have been angry. Упражнение 2. Раскрывая скобки, напишите каждое предложение два раза, образуя условные предложения II и III типа. ОБРАЗЕЦ. If you (to be) free, I (to come) to see you. Second Conditional II. If you were free, I should come to see you. Third Conditional III. If you had been free, I should have come to see you. 1. If you (to be) busy, I (to leave) you alone. 2. If my friend (to come) to see me, I (to be) very glad. 3. If mother (to buy) a cake, we (to have) a very nice tea party. 4. If we (to get) a telegram from him, we (not to worry). 5. If you (not to work) hard, you (to fail) the exam. 6. If I (to live) in Moscow, I (to visit) the Tretyakov Gallery every year. 7. If I (to get) a ticket, I (to go) to the concert. 8. If I (to live) near a wood, I (to gather) a lot of mushrooms. 9. If my father (to return) early, we (to watch) TV together. 10. If she (to know) English, she (to try) to enter the university. Упражнение 3. Напишите предложения, используя Second Con­ditional по образцу. ОБРАЗЕЦ. If/have/time/write a novel. — If he had time, he would write a novel. If/not married/go out more often. If/have driver’s licence/buy a car. Упражнение 4. Объедините следующие предложения, используя Second Con­ditional. ОБРАЗЕЦ. I’m not rich. I don’t live in a big house. — If I were rich, I’d live in a big house. He works in the evening. He has no time to play with his children. 2. She buys a lot of clothes. She has no money. 3.I haven’t got a car. I can’t give you a lift. 4.I go to bed late. In the morning I’m tired. 5. She hasn’t got a watch. She’s always late. 6. He eats a lot of sweets. He’s fat. 7. She smokes forty cigarettes a day. She coughs a lot. 8. He doesn’t understand Portuguese. He won’t work in Brazil. 9. They don’t have a garden. They don’t grow vegetables. 10.I don’t have a boat. I won’t sail around the world. Упражнение 5. Замените предложения нереального условия в настоящем времени на предложения нереального условия в прошедшем времени. If she tried, she could be better. 2. He would do more we if he were able. 3. I could live better if I earned more money. 4. If I knew the answer, I should tell you. 5. He wouldn’t come unless invited him. 6. We shouldn’t remember it if it weren’t so strange 7. If I had time, I would help you. 8. Peter would come if you want him to. 9. He wouldn’t know my address unless someone gave it you. 10. They wouldn’t sell the house unless they had to. 11. I would buy it by myself if I had money. 12. I would break a promise if I answered your question. Упражнение 6. Поставьте глаголы, данные в скобках, в нужное время. John Smith is in prison. How did it happen? If John (not/over­sleep), he (not/be) late for work. If he (not/be) late for work, his boss (not/fire) him. If John (not/lose) his job, he (not/need) money and he (not/rob) the bank. If he (not/rob) the bank, the police (not/arrest). Упражнение 7. Образуйте условные предложения. Упражнение 8. Образуйте условные предложения. Упражнение 9. Прочитайте текст и перескажите его, используя условное на­клонение. ОБРАЗЕЦ. There was a family who was very poor, so they lived in a small house. — If the family hadn’t been poor, they wouldn’t have lived in a small house. There was a family who was very poor, so they lived in a small house. One day the children were hungry, so the mother went to the market. On the way she crossed a bridge and saw something in the river. She leaned over the bridge and her purse fell into the water. It sank to the bottom of the river so she couldn’t reach it. A fish swam by and swallowed it. The woman had no money, so she went home. There was no food in the house, so the father went fishing. He caught a big fish, so he had something for his wife to cook. She cut the fish open and found her purse. Упражнение 10. Переведите на английский язык. Прошлой ночью Джон проснулся от собачьего лая и потом не мог заснуть. В результате Джон проспал. Если бы Джон не проспал, он бы не торопился, пришел на станцию заранее, не сел бы на первый попавшийся поезд, и ему не пришлось бы выходить на следующей станции. Таким образом, он успел бы попасть в Лондон до 9.15. Если бы он успел добраться до города вовремя, он не попал бы в пробку. Когда Джон, наконец, приехал на работу, он обнаружил, что забыл бумажник дома. Если бы он не забыл деньги, ему не пришлось бы занимать 10 фунтов у босса. В конце концов, он заснул перед экраном компьютера. Наверно, если бы его босс не обнаружила бы его спящим на рабочем месте, он бы не потерял работу. 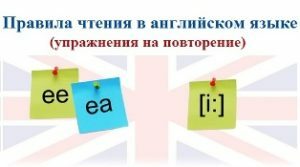 Итак, вы повторили Subjunctive Mood и выполнили упражнения на сослагательное наклонение, а именно на второе условие (Second Conditional) и третье условие (Third Conditional), теперь вы можете повторить все типы условных предложений в английском языке (13 упражнений). This entry was posted in Сослагательное наклонение.